Outsidepride.com has a wide selection of Kentucky Bluegrass Seed which remains one of the most popular grasses in the U.S. since its introduction by early Europeans. Bluegrass is the lawn grass of choice in any landscape where it is likely to grow well and its texture and color is unsurpassed by other lawn grasses. SPF 30 Heat Tolerant Hybrid Bluegrass - Now Professional Turf managers can add genetic diversity with a high-performance Texas Bluegrass x Kentucky Bluegrass cross! Expanding the area of adaptation for bluegrasses, TX x KBG types have been successful farther south than traditional Kentucky bluegrasses, and are adding heat tolerance and summer performance to northern zone turf. 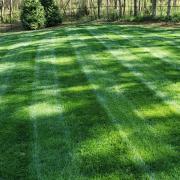 Midnight Kentucky Bluegrass seed is used by turf professionals and home owners alike. Kentucky Bluegrass turf grass forms a thick carpet that will stand up to the abuses of athletic fields and high traffic. 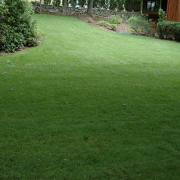 Not only is a Midnight Bluegrass lawn durable, but it is equally as beautiful with dark, blue-green, fine leaf blades. Allow about 4 weeks for establishment when growing Kentucky Blue grass seed. This Kentucky Bluegrass seed blend combines strong performing Kentucky Blue grass varieties to produce an exceptionally thick, disease resistant, richly colored Kentucky Bluegrass lawn. Our KBG seed blend leads the industry for its superior genetics, unsurpassed purity and unequaled performance. Supranova Poa supina is the best shade grass seed that is available for cool season areas. This is 100% straight Poa supina grass seed. 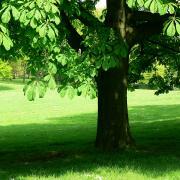 It is not blended with any rough blue grass or any other seed. Poa supina shade grass seed is well adapted to cold climates and is found commonly in the sub-alpine regions of the German and Austrian Alps. 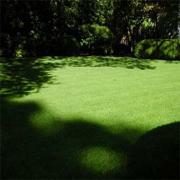 Poa supina shade grass blend is an excellent choice for dense shade in cool season areas. This is the best primo shade lawn grass blend on the market today. It contains 25% Poa supina seed and 75% Rough Bluegrass seed Grow Poa supina shade grass blend for both shade and cost effectiveness. This Rough Bluegrass Blend is all new and improved Poa trivialis seed. This grass seed is an excellent choice for over-seeding greens across the southern portions of the United States. The blend was developed to provide golf course superintendents with a denser, darker turf surface and works as a shade grass. True Putt Creeping Bluegrass golf greens have excellent density along with shade tolerance, heat tolerance, wear tolerance, and cold tolerance. 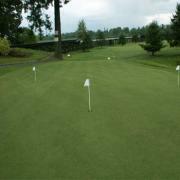 Mow this putting green grass at 1/8 inch. 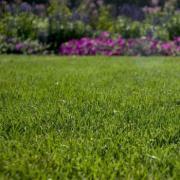 This grass seed is a great choice for creating a putting green in your own backyard! Great for putting green shade grass.